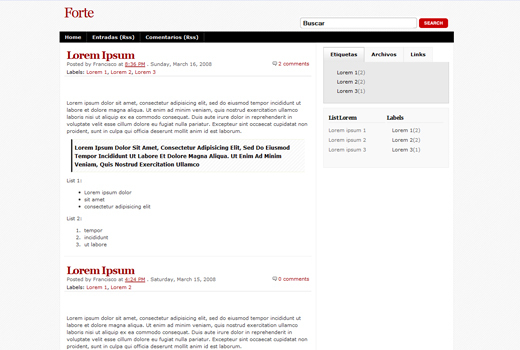 Forte blogger template for free download on Blogger Templates. nice .. but need some good template for my my jokes site?? Not bad but simple, i like it! joomla is free, download it, if you don’t have a internet site the download Xamp and apply on computer as localhost, once set up there’s tutorials in the data thats downloaded with it. Theres a superb video on joomla website about how to set up Xamp, (with the mysql and Apache etc stuff) just trace every step clearly and precisely. wow…. great template, I like simple white and magazine layout. Sicher doch.. ALF, du arbeitest? – ALF: Ich versuche zu arbeiten. Das ist viel anstrengender. i have begun to visit this blog a couple of times now and i have to say that i find it quite good actually. keep the nice work up! free templates are a great service .. I really like your template .. I hope your website the more advanced ..
we have changed policies, and u are requested urgently remove the above second comment of short jokes links. It is very urgent. i could nit find your contact email id … Pls exclude my above comment with link. we shall be very thanksful to you.